A luxury car dealer on the Isle of Man has returned from holiday to find £250,000 worth of cars behind bars. Steve Williams of Elite Vehicles came home after a trip to Ibiza to find that his car lot in Peel Road, Douglas had been fenced off by Dandra, the property developer that owns the site. Dandra had provided notices for vehicles to be removed from the forecourt before it was fenced off following disputes over £3,050 of outstanding rent – Mr Williams eventually removed the cars but disputes are ongoing over his use of the land. Mr Williams claims to have had a gentleman’s agreement that he could use the plot as his forecourt but Dandra states that there was no such deal to let him stay on after his licence expired in August 2013. Formal documentation is, needless to say, key when operating from a business premises to avoid problems like this, and so too is a combined motor trade insurance policy. While a road risks policy protects an individual or business while driving cars out on the roads, if one wants protection for vehicles kept on site then a motor trader's combined policy is essential. Dandra took matters into its own hands by fencing in a Porsche Cayenne, a BMW convertible, a Mercedes estate and Nissan 350Z while Mr Williams was away. Mr Williams did remove the vehicles once he returned from his holiday but told Isle of Man Today that the property owner’s behaviour was “absolutely disgraceful”. Dandra states that Mr Williams has been “trespassing” on the land for 10 months, having failed to vacate the premises when his contract expired. 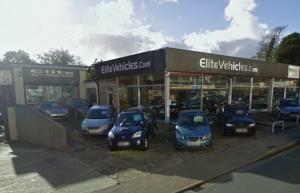 The company now wants to transform the dealership site into a block of flats, while they are still taking legal action to recover the £3,050 of overdue rent.